When we begin to compare the ancient legends and stories of one country with another, and one time period with another, we can recognize how similar and yet different they are. The conclusion is that they had to have come from one basic source, one people that later became divided and spread out over a wide area. Each part of this society must have brought with them into the new lands their old legends that were once common to all. Many of these stories were later shaped and altered according to the place they lived, and the natural aesthetic and artistic preferences they acquired, while the primary legends have been the most likely to maintain their storyline. Though various mythologies may have similarities, the most common traits can be seen between any of them and the Vedic traditions. These kinds of similarities between these myths and the Vedic legends makes it clear that the Vedic tradition is the original from which all others are derived. An example of this is the Indian classic Ramayana, from India the Ramayana has travelled to many other countries who now claims their own versions of the epic. Indonesia, Malaysia, Thailand, even Jamaica and Africa have versions of the Ramayana that have slight differences from the Indian Ramayana. 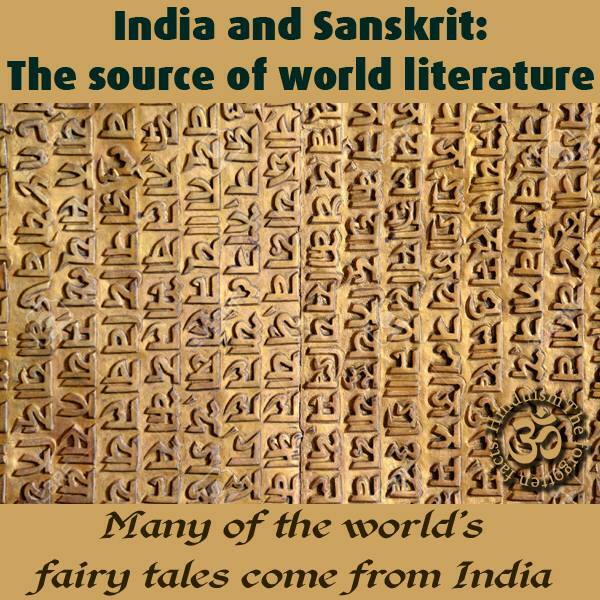 Thus we can see how this early Sanskrit literature travelled throughout the world and became local versions of what originated in India. The next section further corroborates this point.